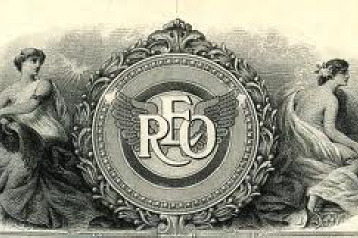 Ransom Eli Olds founded the REO Motor Car Company in 1904 after leaving the Olds Motor Works Company (Oldsmobile) which he also founded. When he left Oldsmobile, he was precluded from using his name (Olds) for another auto company, so he chose to use his initials (REO). By the fall of 1904, the new company began producing its first vehicles. REO produced a variety of cars and trucks (Speedwagons) until 1936 when car production ceased due to the effects of the depression. Through a series of mergers, etc., REO trucks (under names like Diamond REO, REO Giant, etc.) continued to be produced until the 1990's. The first half mentions Ransom Olds and some of the Oldsmobile history. The second half shows some real beauts from Oldsmobile. Click above to go to the library site. For those members in the Lansing MI area or planning a visit, the "Wanger REO Collection" is available at the Capital Area District Library. The archival collection contains papers, photographs and artifacts that cover the history of the REO auto company and its products.